Bib and Tucker Sew-Op intends to teach skills in machine sewing and design-based problem solving, aimed at heads of single-parent families in Woodlawn. To achieve this goal, Bib & Tucker Sew-Op, a nonprofit with the mission of cultivating skills for those who sew or want to sew, will plan, test, and implement a training program for machine sewing as well as bring in professional product designers to work with trainees. Four trainees (male and female) will be recruited with help from Woodlawn YWCA’s Interfaith Hospitality House and will participate in 96 hours of instruction over a 9-month period. Bib & Tucker and the trainees will work with a client so that the trainees can gain experience developing a specific product. The client is the UAB Highlands Acute Care for the Elderly unit and the product is a therapy tool for patients with dementia, which can be manufactured by seamstresses. Bib & Tucker hopes to create a training program where participants will acquire not only sewing skills but will be prepared to work for clients in the future. The Mosaic Mental Health Awareness Project seeks to provide mental health awareness training through churches in the Birmingham area as well as host on-site support groups for individuals living with or caring for someone with mental health concerns. The goals of the project are to designate no less than six churches in the Birmingham area in order to (a) train Pastors and church officials in Mental Health First Aid (b) offer monthly Mental Health First Aid training that is open to all church members and the general public and (c) offer monthly on-site support groups that are open to church members and the general public. In 2016, the Mosaic Mental Health Awareness Project seeks to train 2,000 individuals in Mental Health First Aid and offer on-site support to at least 200 individuals. The project’s unique approach is developed by individuals with mental health concerns, as well as licensed mental healthcare professionals. Redemptive Cycle is a non-profit bike repair shop serving many downtown-based homeless missions by providing a means of transportation which is sustainable, economical, efficient, and healthful for those community members living at the margins. The goal is to implement, expand, and sustain Birmingham’s first Earn-A-Bike program which would enable an individual with a self-declared economic hardship to exchange 12 hours of their time for a bicycle that is theirs to keep. During this time investment, bike recipients will learn basic bike mechanic skills, help out in the shop and become a member of the growing Redemptive Cycle family. 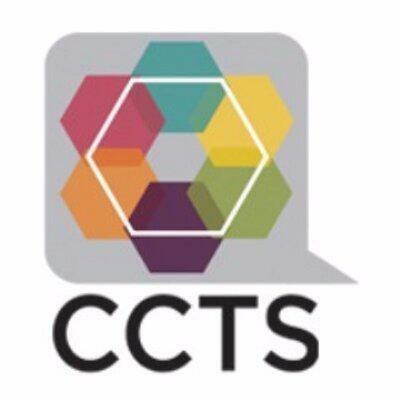 The CCTS supports the development of authentic partnerships between researchers and the populations we serve. Through our Engagement of Communities domain, we provide learning and collaboration opportunities to a wide variety of community stakeholders. Our aims are to foster trust, explore and establish shared research goals, and speed the translation of knowledge into health improvements for all.